Novitatech provides services to both adults and kids in assessment, prescription, advice and information regarding different types of assistive technology that supports independent living. We are recognised prescribers with various equipment funding schemes and can supply assistive technology directly to you. Call Novitatech on 1300 668 482 for information or to book a no-waitlist consultation on how we can support you with any of the types below. Assistive technology is equipment and devices that support you in communication, mobility and independence as someone living with disability. Assistive technology can range from a large button remote control that you would find at any electronics store, to fully customised, powered wheelchairs that are built to an individual order. There is an almost endless list of items that can be considered assistive technology and new brands and innovations are emerging constantly. 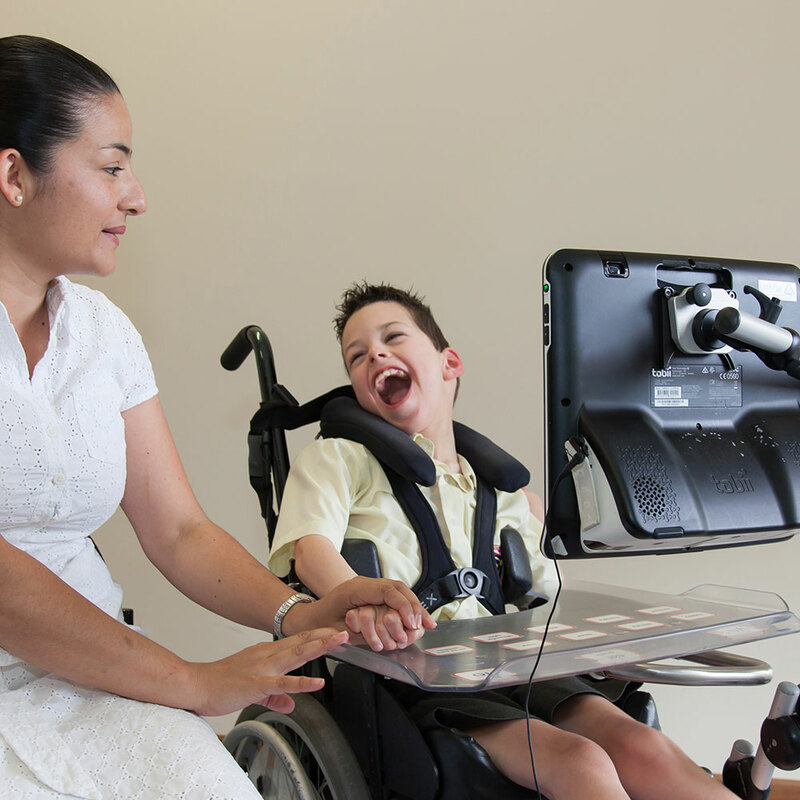 Novitatech’s therapy team can support you in considering your individual needs and work with you to identify the best possible assistive technology solutions for you and your situation. Technology has made amazing things possible for all of us, as we can use remote controls and software programs to control almost any aspect of our home environment. This has been life changing for many people living with physical disability. This area of assistive technology is also known as Smart Home Technology, Environmental Control or Home Automation. Independently open your door without having the physical ability to turn a door handle, or push on the door. Control your lights from anywhere in the house, including in bed. What types of assistive technology is there? Novitatech has occupational therapists with dedicated skills and knowledge in smart home technology, environmental control and home automation, and who can assist you in matching your skills and needs to the options available. From email and banking to social media and holiday planning, using computers and tablets is a part of how we organise our lives and stay connected in the 21st century. Standard keyboards, tablets and screens cannot be used by some people living with disability. An ever increasing range of assistive technologies can give people ways to independently access a computer or tablet. Large or small size keyboards, keyguards and computer mice can be useful for you if your hand control and/or vision is not suited to a standard mouse or keyboard, along with joysticks that have larger buttons or can be used with a switch (accessible button). Eyegaze technology, which is software that allows you to control a computer with your eyes, is a great option if you are not able to use hands to control a mouse or keyboard. Variations of this include head tracker technology and gyroscopic computer mice – a computer mouse that does not require a surface to operate and some models just require small wrist movements to operate. Switches are buttons of different shapes, styles and sensitivities that can control a computer or tablet with a single press. There is a big range available that can accommodate the full range of movements, including very small or weak movement, which may be experienced by someone with motor neurone disease for example, or with large and forceful movements that may be experienced by someone with certain types of cerebral palsy. Software programs can integrate the technology to make other applications easier to access for someone who is using a switch or eyegaze for computer access. For example, that means you can control Facebook with a single switch or just your eyes. Software can also support people with learning difficulties to read and write with greater ease and success. Novitatech has occupational therapists who have dedicated skills and knowledge in smart home technology, environmental control and home automation, and who can assist in to match your skills and needs to anything mentioned above. Assistive technology in this area can assist in a range of ways, including by reducing the risks of falling from bed or becoming stuck. It can also support you by providing an independent or safer way to get in and out of bed, as well as a safer and more comfortable bedroom and place for dressing. A personalised solution could also involve positioning supports built into the bed, which can help to reduce the issues caused by being unable to independently re-position your body during the night. The right pressure and positioning support can reduce waking in the night by increasing comfort, and also reduce the risk of pressure injuries. Assistive technology can support you in a range of ways, such as reducing the risk of falls so you can focus on getting clean without the challenges of trying to stay upright. Providing a safe, stable environment can also support you in independently getting into and out of the bath or shower. Assistive technology equipment can also aid a person who is assisting someone to bathe, by providing safe supports for the person being washed. Simple modifications can be made to some bathrooms to make them easier to use for a person living with disability. This can include replacing the taps and adding a shower hose. If a shower chair is needed, there may also be a need for the bathroom to be renovated as many bathrooms do not easily fit or have smooth access into the shower for the shower chair that a person may need. (See home and building modifications for further details). 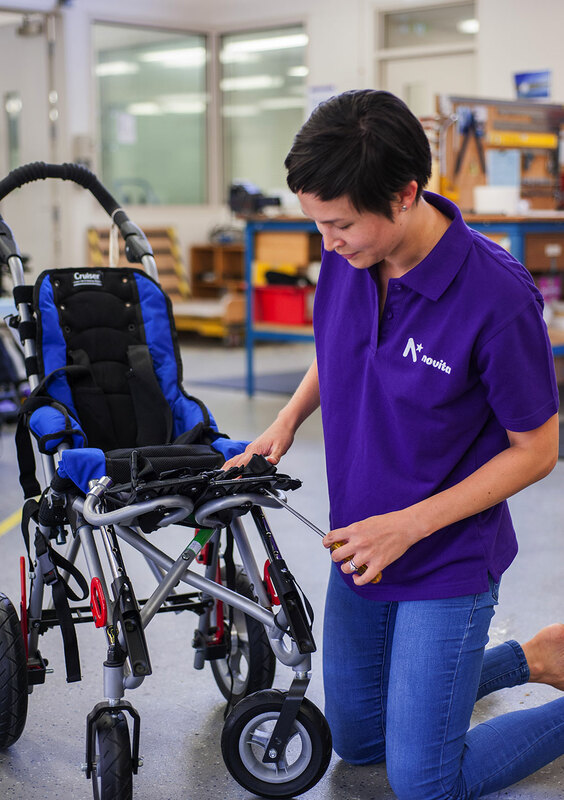 We assess and prescribe quality car seats, harnesses and vehicle modifications for you.